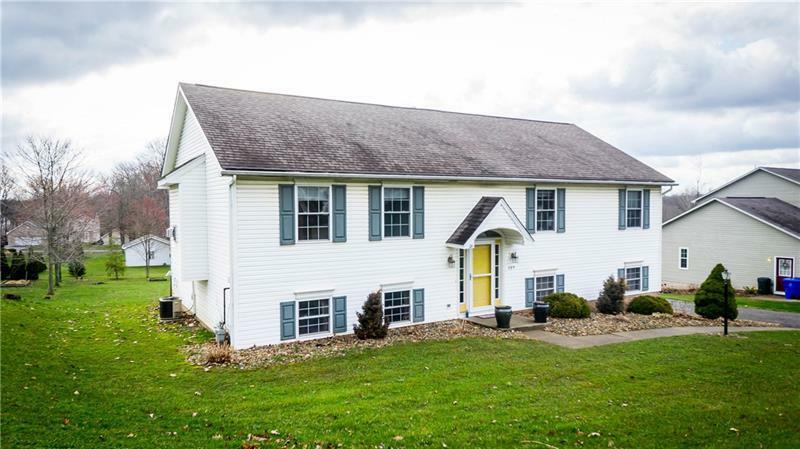 Beautiful 3 Bedroom Home in the Heart of Slippery Rock. This Fully Updated Home Features an Open Concept Living Room/Dining Room/Kitchen Combo. Cathedral Ceilings make this space feel Larger Than Life and Gorgeous Natural Light Flows Throughout!!! The Dining Room is also equipped with Sliding Glass Door with Access to Raised Deck that overlooks the Level Back Yard. The First Floor is also Equipped with a Master Bedroom with On/Suite Bathroom and Walk in Closet, 2 Additional Nicely Sized Bedrooms, and Updated Main Floor Bathroom. In the lower level you'll find a Fully Finished Family Room with Beautiful Wood Ceiling, Private Laundry/Utility Room, 2 Car Garage, and an Additional Space Pre-Plumbed for a 3rd Full Bath!!! This Turn-Key Property Polished Off Perfectly.